Born a "Hoosier" in Evansville, IN but raised a "Florida Cracker," Maggie is part of the third generation of Nelsons to have graduated from Lake Wales Sr. High School. 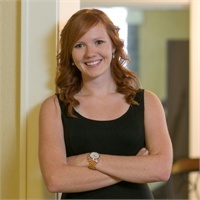 Following high school, Maggie received her Associates Degree from Polk State College. She then enrolled at Warner University and graduated with her Bachelor's Degree in Business and Finance in December 2014. Aspiring to become a full-fledged financial advisor, Maggie has already obtained her Florida Life, Health, and Variable Annuity license. She plans to secure her securities licenses and pursue financial planner certification. Maggie is also licensed as a Florida Pre-Need Agent and is currently working as the Family Services Advisor at Marion Nelson Funeral Homes in Lake Wales and Frostproof and Johnson-Nelson-Gill Funeral Home in Lake Wales. 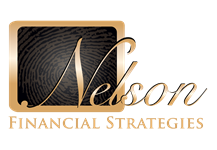 Additionally, Maggie works with in the Nelson Financial Strategies office learning the administrative side of the family's financial services business. Maggie somehow finds time for her love of cooking, going to the beach, and spending time with her Silver Labrador puppy, Asher, and husband, Michael. Maggie is best known for her sweet disposition, humor, and independence, and any who cross her find what is said of fiery red heads to be quite true.